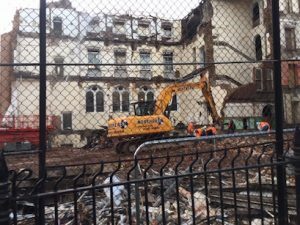 There goes the old convent and school – photo taken on Thursday 30 November 2018. Sad to see such beautiful (and well-built) building with stained glass windows all demolished and nothing preserved. We need to save Somers Town heritage in some way.